A trio of brazen youngsters cheekily asked a stadium announcer to tell a car owner to move their vehicle – with the number plate NE14 ABJ. In scenes likened to Bart Simpson’s famous prank calls to Moe, the boys told the announcer at Conference Premier club AFC Fylde one of their father’s cars was blocked in and it was an emergency. 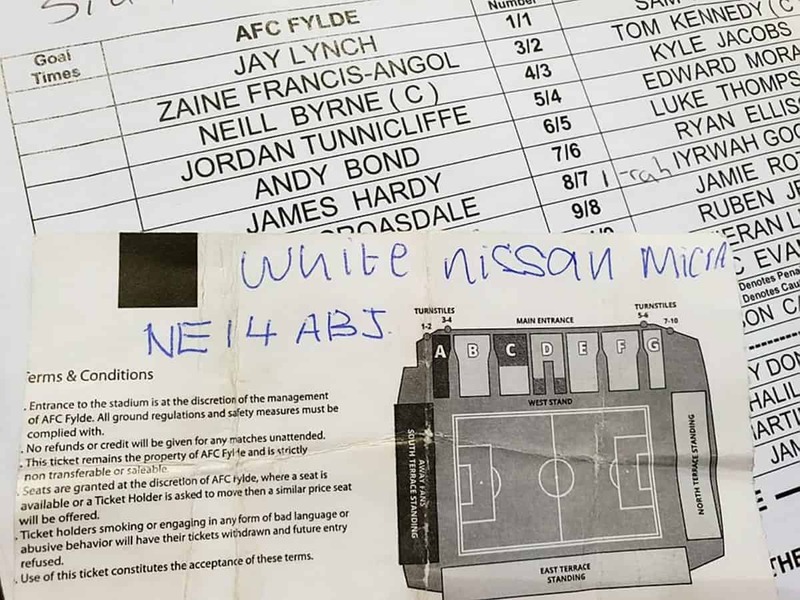 The trio passed the announcer a ticket with the information ‘WHITE NISSAN MICRA NE14 ABJ’ written on the back at half-time of the game. They succeeded in their prank after the announcer read out the number plate for the ‘Nissan Micra’ to chuckles from thousands of supporters. Thankfully, the prank has been taken in good faith by the club – who won the FA Trophy match 4-1 against Ramsbottom United. A tweet released by the club this morning read: “WANTED: This trio pictured in the middle. “CRIME: Rather cunningly duped our stadium announcer into asking for a white Nissan Micra NE14 ABJ to be moved last night. Social media users were quick to praise the youngsters brash attempts for a laugh.